TheJWord is a website dedicated to explaining the reality of the concept of jihad in Islam. We believe this is a crucial undertaking, for many reasons. The term ‘jihad’ is found in the religious texts of Islam, and is mentioned as being one of the most praiseworthy acts any true believer in God will participate in. Therefore, every Muslim believes in jihad as something positive. Yet, its connotations and implications in the minds of many non-Muslims are all evil. The term will not go away, therefore it is the duty of Muslims (a jihad in its own right!) to clarify what this term really means. There are groups that claim to act in the name of Islam and abuse the beautiful concept of jihad, murdering and terrorizing others in the name of this word. It is not surprising that many non-Muslims have negative views of this concept in particular, and the religion of Islam in general. Mainstream Muslims need to step up and reclaim this concept for what it really is: a struggle to perfect one’s nature and character, and a genuine attempt to strive for excellence in one’s person and community. Extremists groups of our times (such as al-Qaeda) attempt to manipulate the Qur’anic verses and classical legal rulings of military struggle type of jihad to substantiate their own perverted agenda and recruit innocent minds. The only way to counter such messages is to engage in academic refutations and show the falsity of their premises. An active body of dedicated Muslim individuals and organizations are engaged in bringing clarity to common misconceptions and stereotypes. AlMaghrib Institute is the largest academic institute in the Western world dedicated to teaching classical Islamic sciences. With over thirty-five thousand students and counting, and over thirty locations, it is ideally situated to launch an initiative of this nature. Hundreds attended the pivotal workshop, Deceived: A Historic Analysis of Extremism. It covered a frank, no-holds-barred exposé on one of the leading threats of modern times. To host this workshop in your community, please contact us at info@almaghrib.org. Deceived is a shocking exposé of religious extremism dating back to the first generation post-Prophet Muhammad (peace be upon him). The speaker unearths historical incidents that parallel today’s extremist groups. The audience is left with an eye-opening understanding of how fringe groups ignorant of Islamic principles come to misinterpret sacred scripture. 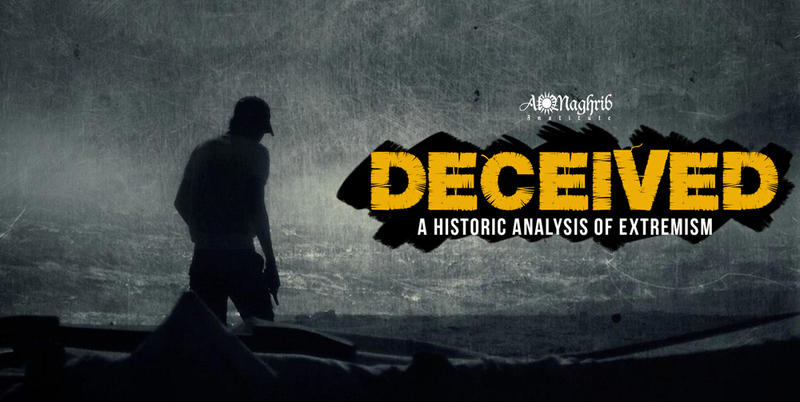 Deceived is a single-evening workshop that finally brings a refreshing, academic analysis to light.